It may be hard to imagine, but the Lexus brand isn’t nearly as old as its competitors. Where Audi, Mercedes-Benz, Cadillac, Lincoln and BMW go back to the early 1900s (or even earlier), Lexus was launched in the early 90s. To ensure that its luxury brand would take root in a very competitive market, Toyota needed an innovative product, a car that would impress everyone and cement their reputation. This car was the LS 400. In 1983, Toyota’s chairman, Eiji Toyoda decided that they needed to enter the luxury automaker market. To do this, he mobilized an impressive amount of resources into Project F1 (for Flagship 1). This particular project didn’t have any budget limit or time constraint; their only objective was to design the best vehicle possible. They looked at the luxury market, took note of what consumers wanted and aimed to beat both European and American products in many key aspects like aerodynamics, cabin quietness, top speed and fuel economy. The F1 Project debuted work in 1985. While some of the earlier designs were for a two-door, low-slung sports cars, the more traditional sedan body style was chosen. Through extensive work in wind tunnels, the sedan was able to post a 0.29 drag coefficient, which was very impressive at the time. The interior was carefully selected to be a quiet and tasteful place to be: 24 kinds of wood were tried, as were many different types of leather. The engine was also created from scratch. Sure, Toyota had many frugal four-cylinder and strong six-cylinders available, but none would be good enough for Project F1. So, they made one. The choice for a V8 was made early on; these engine types were not only powerful enough to move the heavy vehicle they were designing, but the configuration was synonymous with luxury in the minds of buyers. After much work, the 1UZ-FE was born. This 4.0-litre, double-overhead-cam marvel of engineering made 250 horsepower and was unbelievably smooth. One of the LS 400’s TV ads showcased this by assembling a pyramid of crystal glass on the engine…while it was running. Once the final design was chosen, prototypes were built and tested. Overall, 24 teams, 2,300 technicians, and 200 support workers built 450 prototypes and 900 engines to go with them. They logged 2.7 million kilometers of testing all around the world, ranging from scorching deserts to mountaintops and city centres. This is how far Toyota was willing to go to ensure its luxury sedan was perfect. 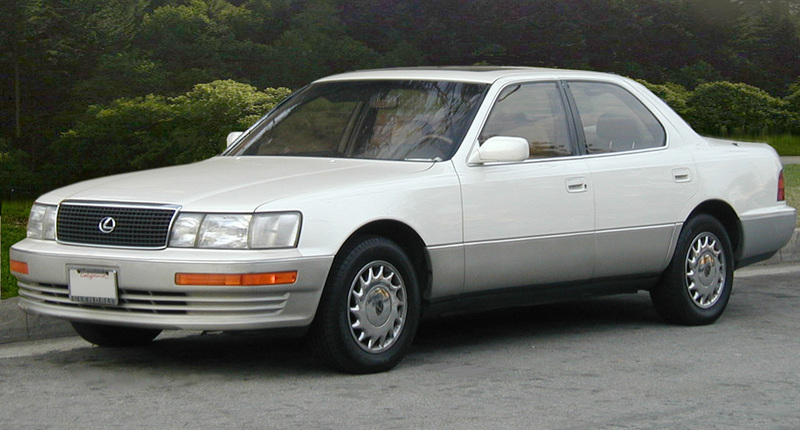 The Lexus LS 400 was officially unveiled at the 1990 Detroit Auto Show. When its specifications were announced, people were amazed: with a top speed of 250 km/h, it was faster than the BMW 735i and the Mercedes-Benz 420 SE. Its cabin was also quieter than its competitors, with 58 dB at 100 km/h. Thanks to its small displacement, it was able to avoid the US Gas Guzzler Tax, meaning it was cheaper to register. It won numerous awards and showed to the world that Lexus was a newcomer to be reckoned with. Today, the LS name lives on. 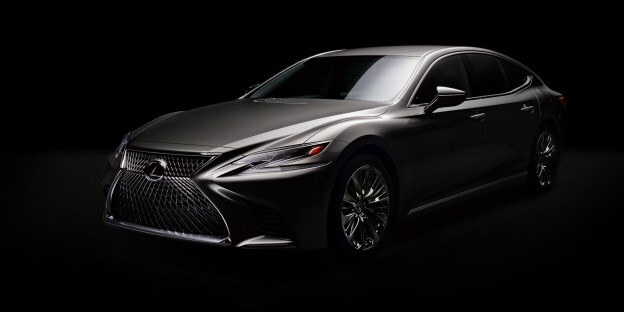 It remains Lexus’ most comfortable and high-tech sedan. While it packs technologies that would have been considered impossible back in the 90s, it still follows the guidelines that were laid by the original LS 400: supreme comfort, extreme reliability and the ability to shame its Germanic and American opposition.